Ethnic seasoning mixes have always been somewhat problematic. 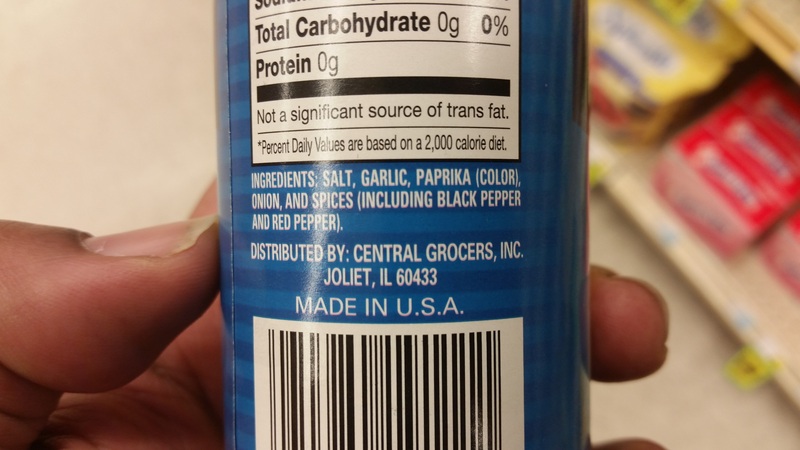 The concepts of Italian seasoning and Mexican seasoning imply that, with the shake of a canister, your food will taste like it came from a different country. And truthfully, these products only make sense because the range of ethnic foods that the average American is likely to cook at home is probably incredibly limited. And in those cases, the pre-fab mixtures probably do a halfway decent job for a very narrow list of food choices. But when I came across “Soul Food Seasoning” at my local grocer the other day, I was overcome with WTF. 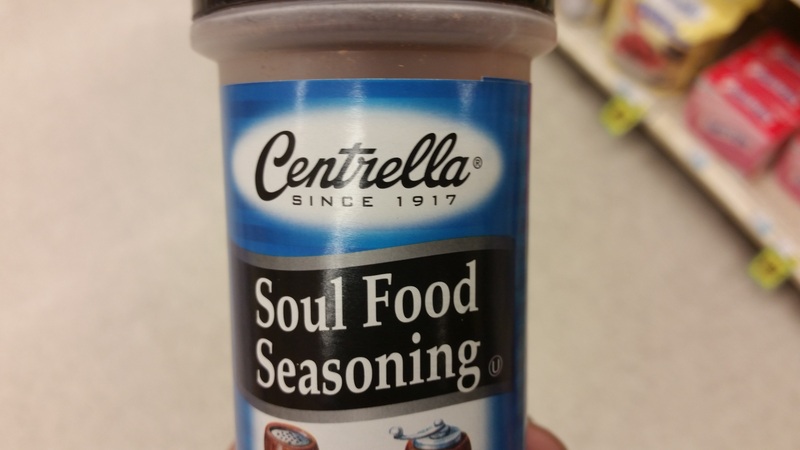 This product’s existence makes no sense at its core because soul food isn’t all seasoned the same. The dishes that comprise traditional soul food are highly varied in taste, and subsequently, highly varied in seasoning approaches. To purport that you could even attempt to create a “catch-all” seasoning like this offends my sensibilities. But then again, this is not a product aimed at my household. In my household, I have a no holds barred, kitchen master as a partner. She knows how to put her whole foot in a dish, make you want to punch her in the mouth, and spontaneously start flying like Patti Labelle. A product like this is purposely meant to mislead the seasoning deficient into thinking they can make soul food now. Hint: if you need to use “soul food seasoning” to make soul food, you shouldn’t be making soul food. The key ingredient in soul food is soul. Soul food is not a recipe to be replicated again and again. It requires care, frequent tasting, and an innate sense how just how much sugar, salt, garlic, or pepper is enough. You can’t put that in a bottle. But they tried it anyway. And the formula they settled on included salt, garlic, paprika, black pepper, and red peppers (amongst other proprietary things). Now we all know that limiting your range of seasonings in this manner is a recipe of sub-par soul food. This mix won’t get your collard greens together. It won’t have your fried chicken poppin. It definitely won’t get your gravy going. And if it can’t handle those quintessential soul food dishes, than what the hell is it good for?